Fleet Management, a subsidiary of Control Module Inc., provides global companies of all sizes with innovative equipment and services for vehicle management, fuel management and unattended gate security. With countless years of combined experience, Fleet Management's highly skilled engineers and production staff create state-of-the-art equipment, data systems, hardware and software for the Fleet and Fuel Industry. Car and Truck Dealerships can manage user permissions and control fuel costs for dealership fleet inventories. Commercial and Municipal Fleets can apply rules to control fuel use for fleet vehicle types, personnel and applications. Rental Fleets can manage fuel use, vehicle processing and productivity on departing and returning vehicles for various users. 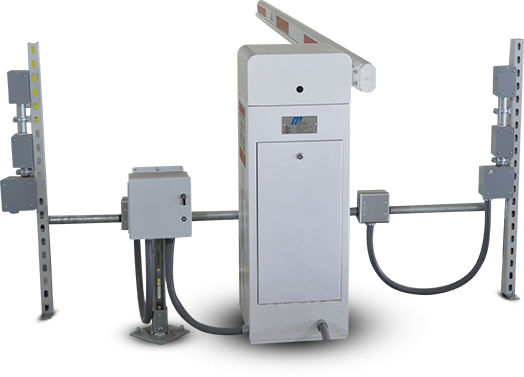 Automated Gate Systems allow any operation to control entry and egress for different fleet vehicles and users in enclosed areas. Fuel Island Solutions permit fleet operators to track vehicle status, fuel dispensed, vehicle damage and service attendant productivity with real-time data reporting. By assisting in the elimination of costs associated with vehicle thefts, tracking errors, attendant costs and resource misuse, Fleet Management Automated Gate Systems and Fuel Island Solutions quickly pay for themselves. In addition to delivering a fast ROI, these systems provide an array of value-added benefits while reducing costs and increasing productivity. 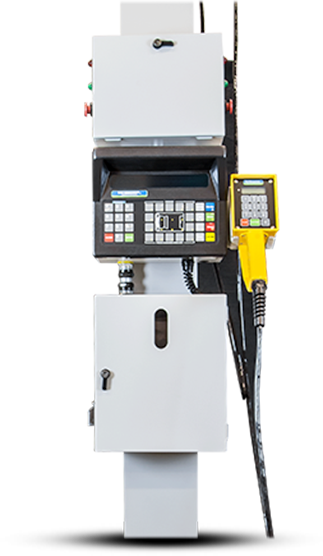 Fuel Dispenser Control with lockout feature ensures dispenser operation only after validation by the Fuel Island System. Auto Vehicle Identification is available when RFID technology is used. Easy Networking is provided with cabled and wireless networking capabilities, including ZigBee wireless. Customizable Software Solutions provide valuable insight into productivity and resource usage while controlling operations, as well as recording staff and vehicle activity. Anti-Tailgating Function prevents multiple vehicles from exiting with one-driver authentication. Security Lockdown closes the lane and stops all vehicle exits if a security breach is detected. License Plate Cameras record plate photos, decode letter/number characters and create a database of vehicle activity. Vehicle Loss Prevention ensures vehicles are reporting to locations on schedule with real-time tracking of clock-in and clock-out times. All of our solutions are designed for fast and easy integration with your existing systems. We offer installation and system start-up services, as well as onsite, email and phone support programs for our hardware and software products to keep your operation running smoothly. Genus Fuel Island Terminals place all crucial attendant and vehicle information at your fingertips. With a simple key press, vehicle identification, mileage, fuel utilization, vehicle damage and lost-and-found items can be logged and displayed. System Manager Software is an ASP.NET based data-collection platform for accepting terminal transactions, managing terminal software updates, loading employees, distributing data, and organizing data for distribution to terminals. The Genus Series Module Design offers several communication methods. The product operates with low-voltage DC through a single local power converter or a central power supply with low-voltage power distribution to the terminals. Fleet Management systems support a variety of readers for automated data entry, such as traditional barcode slot readers and hand-held scanners. Our systems also support RFID and proximity readers for maximum versatility and easy integration. Fuel costs are a major expense for any car or truck dealership. With the Dealer Fuel Management System, you set the rules and control the dispensing – from a full tank of fuel for a new vehicle buyer or a few gallons for a test drive. Track and control vehicles, service agent productivity, vehicle maintenance requirements, fuel dispensed, and dispenser operation. The system also identifies, tracks, and authorizes the operator by use of either a badge or keyboard PIN. From automotive dealership to municipal lot, from corporate fleet to motor pool, Fleet Management’s automated gate systems put you in control of who is permitted in or out of a secure lot, with which vehicle(s), at any given time. Our authorized, trained Support Representatives provide assistance on such topics as product operation, system re-installation, alternative system set-ups, and system troubleshooting. Assistance is available via our Contact Us page, by calling 1-888-753-8222, or sending an email to techsupport@controlmod.com. Learn more about our technical support and product support.